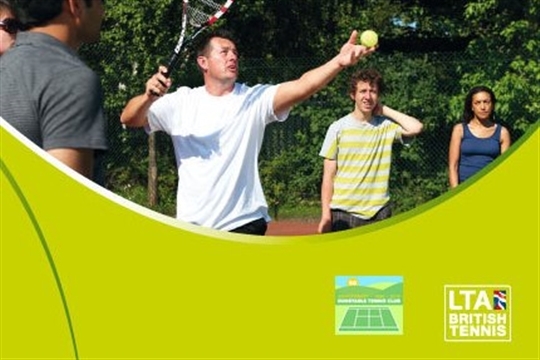 An LTA British Tennis registered venue, Dunstable Tennis Club is situated in the south of the county and draws its members from Dunstable and the surrounding towns of Luton and Houghton Regis as well as further afield in the 3 counties of Herts, Beds and Bucks. From its public hard court origins and foundation in 1966, the club has grown in strength and now boasts six first class courts, five floodlit, as well as two mini-tennis courts in the new Kidzone, plus a clubhouse with changing facilities and bar. With around 200 members of all playing abilities the club is active in the Senior Beds and South Beds Leagues, Vets League, Junior County Leagues and County and National Competitions. There is also an active social programme for all to enjoy. Safeguarding. We acknowledge the duty of care to safeguard and promote the welfare of children and adults at risk and are committed to ensuring safeguarding practice reflects statutory responsibilities, government guidance and complies with best practice and LTA requirements. We have a range of membership options available for adults, couples, families and juniors. Our membership year runs from 1 April to the end of March. The LTA offers free British Tennis Membership to all DTC members. Please take a few minutes to join via the LTA website.